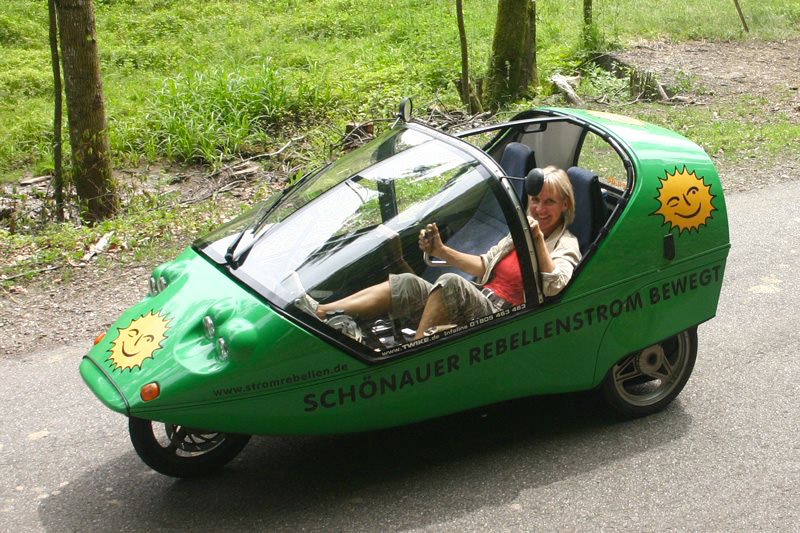 This site is intended to be a forum where visitors can share ideas, experiences and opinions about alternate forms of transport and products related to renewable energy. 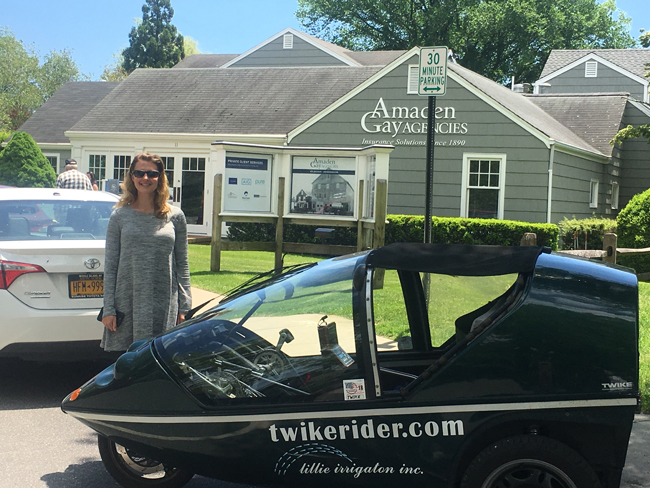 We welcome your suggestions and contributions about experiences you may have with alternate fuel vehicles and renewable energy initiatives and will provide a forum for anyone who has found a different way to approach transportation and/or energy production. 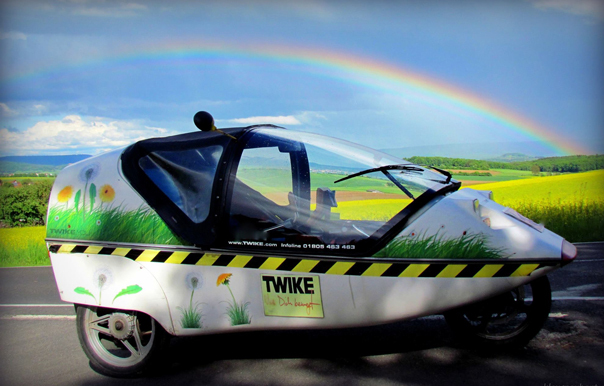 The TWIKE is a zero-emission pedal electric hybrid vehicle. 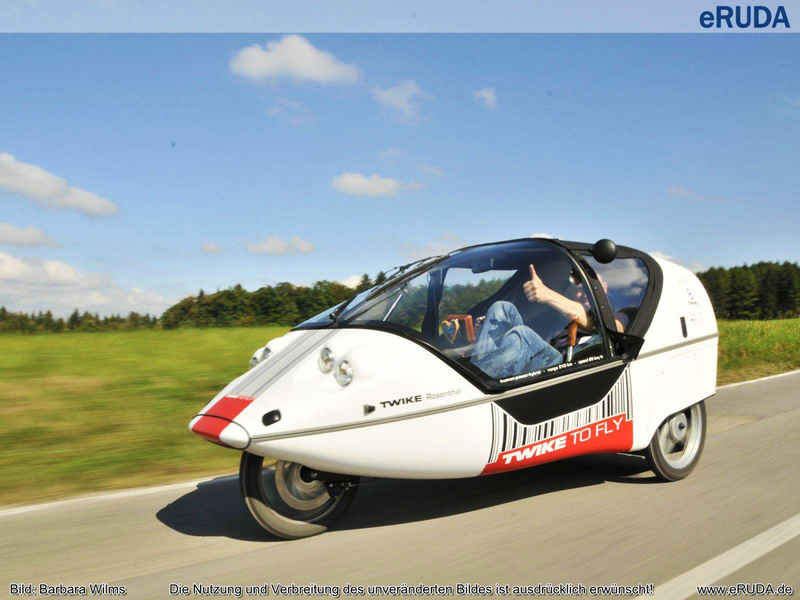 Manufactured in Germany by FineMobile GmbH, the TWIKE is powered by a 230 Volt AC motor that gets its juice through an inverter connected to 2, 3, 4 or 5 battery packs that put out 353 Volts DC at 4.8 Amp Hours. 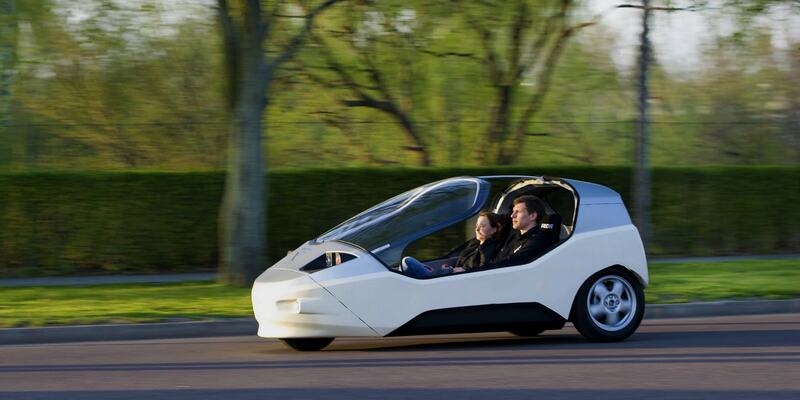 Top speed is 55 mph with a range of 70 - 200 miles. 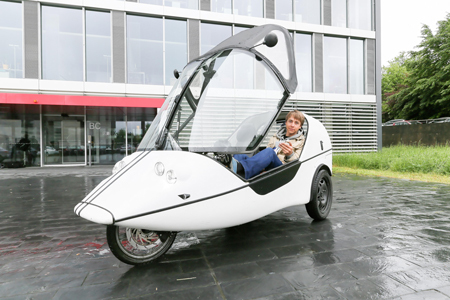 The TWIKE is an ideal vehicle for in-town trips and commuting to work. It can be recharged while the driver is at work and upon returning home in about 2 hours using a standard 220 volt outlet. In the U.S. we have become all to comfortable just jumping in a car and driving to the store with no regard for what that is doing to the environment. Using the precious resource that is fossil fuels in such a fashion is senseless, imprudent and wasteful. Woe is the day when we no longer have plastics because all the oil was burned up going to K-Mart. 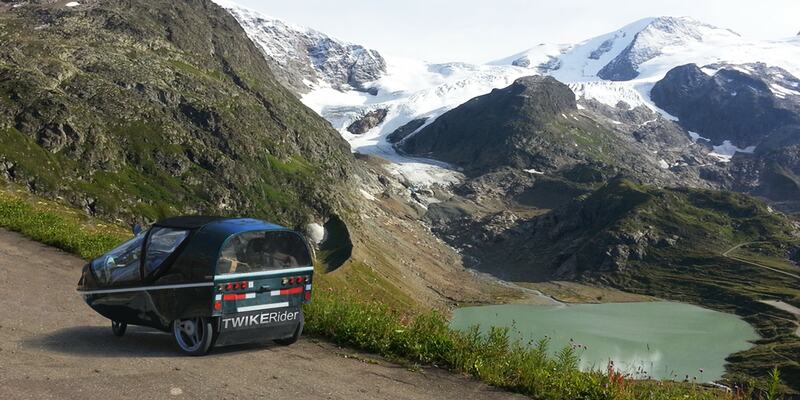 Of course, The TWIKE is not for everyone, but it is a start. 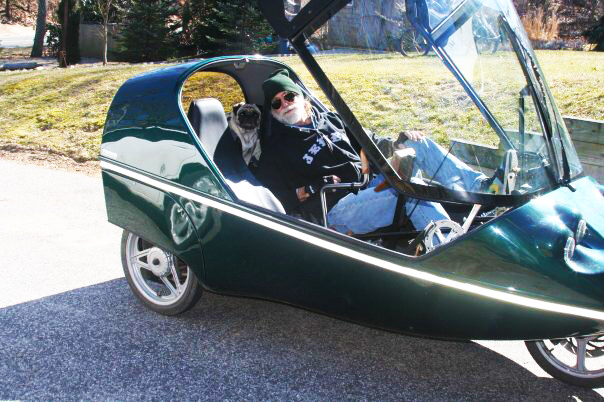 Larry Lillie decided to use a TWIKE for primary transportation because it is immediately improviong the environment and because it sends a clear message to everyone who sees the vehicle that there is a way to get around without burning fossil fuels in the process. 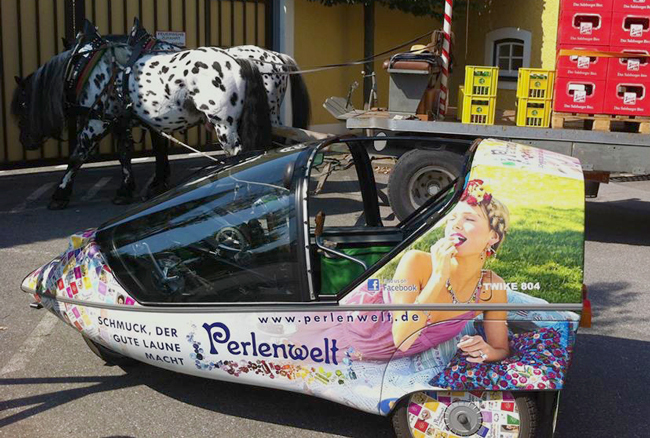 This vehicle is a modified version of a commercially available surrey called The Sirenetta. You may have seen these or similar vehicles in beachside communities with a boardwalk or strand like Huntington Beach, CA or Galveston, TX. 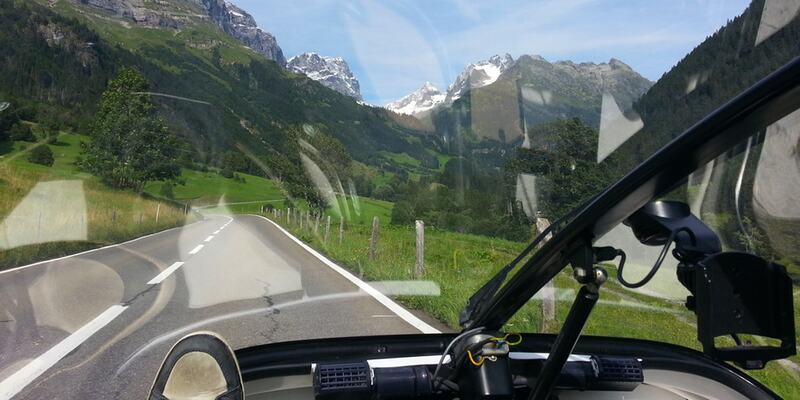 To make this vehicle a viable means of getting to and from work and the store, Larry Lille added a Phoenix Brute hub motor and LiFeBatt battery as a fifth wheel. This vehicle has a range of approximately 20 miles. If you know or have any information about biodiesel, battery chemistry and technology that you would like to share write us and we will post it on our site. 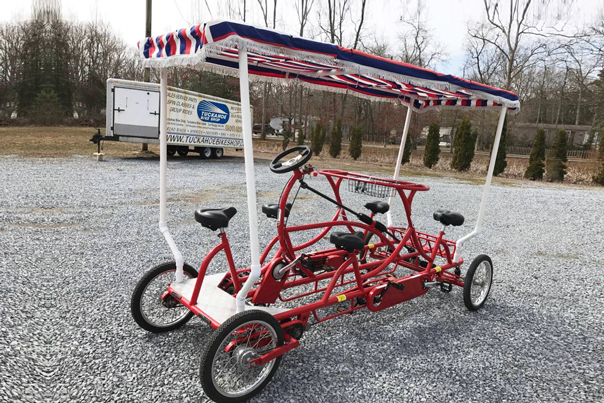 If you built a bicycle that is enclosed and use it to get to work instead of a car, write us and we will post it on our site. If you retrofitted your Prius with a plug-in setup, write us and we will post it on our site...you get the idea. 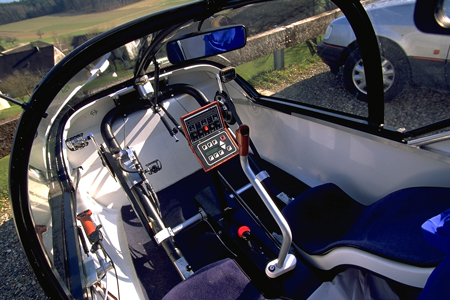 Currently, we are building pages for this site outlining the experience of electrifying a four-wheeled pedal surrey for use as a primary (summertime) commuter vehicle and using the TWIKE, a pedal-electric hybrid which can be used in all seasons. Both of these Zero emission vehicles produce no exhaust (other than the breath that is exhaled by the driver). Of course, the source of the electricity used to charge batteries is a source of carbon dioxide as it comes from the grid. 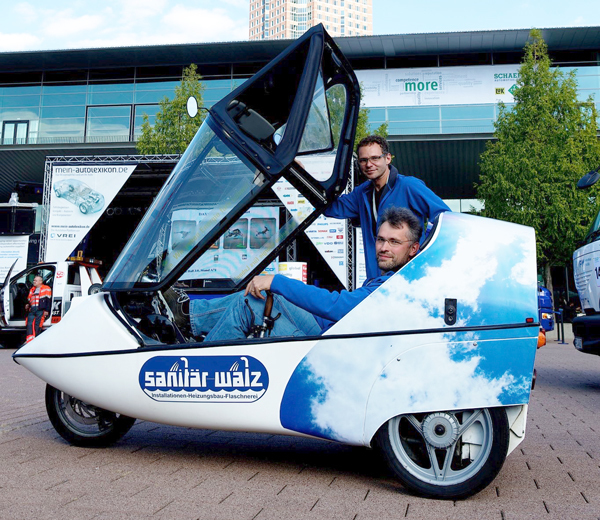 In the future, we intend to use solar panels as a source of power to make these vehicles completely carbon neutral. 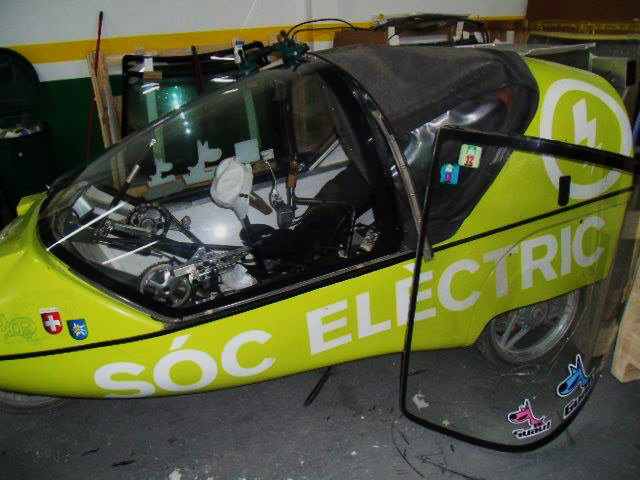 Stay tuned as we develop the site and add more information about the history, current use and future trends in the exciting field of electric and alternate fuel vehicles and renewable energy. 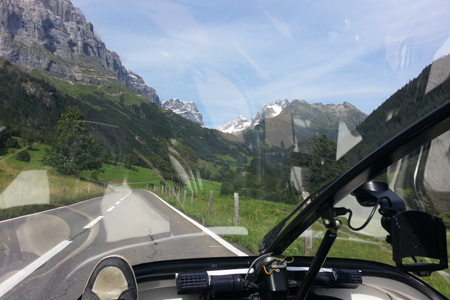 Here is an overview of TWIKE's News and the incredibly experiences of our adventures.